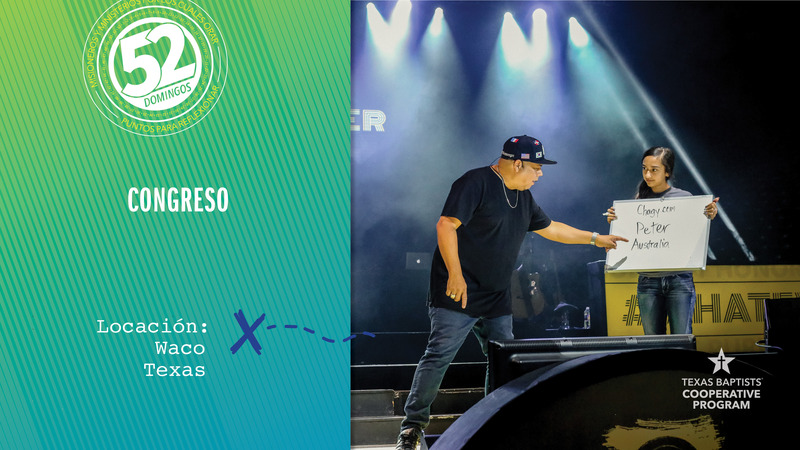 Congreso is one of the largest gatherings of Hispanic Baptist students in the nation. The conference continues to expand each year in reaching a growing population of Hispanic students and young adults in Texas. Attendees travel from all over Texas for the three-day conference hosted at Baylor University in Waco. Students and young adults attend workshops to equip themselves as leaders and attend special sessions taught by pastors and speakers encouraging them to live out their faith and walk with the Lord. Participants serve in mission work during the day supporting local Hispanic churches and ministries. Then at night, they come together for worship. Last summer, 73 students accepted Jesus Christ as their Lord and Savior, 124 students recommitted their lives to Christ, and 30 students surrendered to ministry. The goal for the next Congreso is to have at least 4,000 in attendance. Through our Cooperative Program giving, our church helps support ministries such as Congreso. Let’s pray for its continued growth and for the Hispanic students, young adults and pastors who attend.